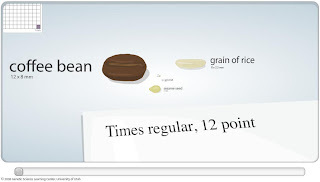 Once you get to the site, use the slider at the bottom of the picture to go from coffee bean size to a carbon atom. The site where I snagged this link posted this phrase, "God's creation is beyond comprehension!" I couldn't agree more.